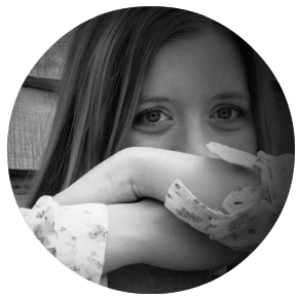 My chocolate mint lip balm recipe is a simple solution to moisturizing and protecting your lips from chapping. Enjoy this tasty lip balm on your lips! Homemade lip balm only uses natural ingredients; you’ll be amazed by the difference this lip balm has over commercial brands that contain petroleum. 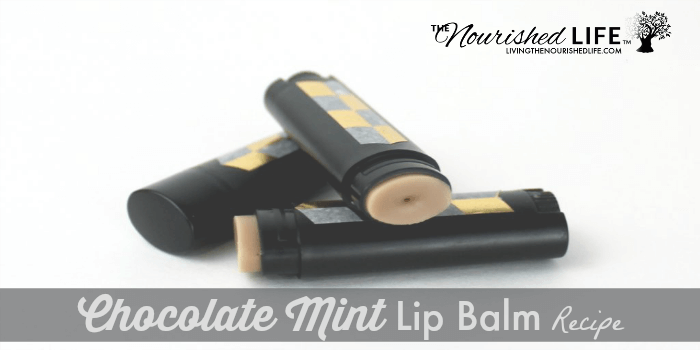 Rather than exacerbating dry and chapped lips, this chocolate mint lip balm recipe works remarkably well at preventing chapped lips all while smelling amazing. 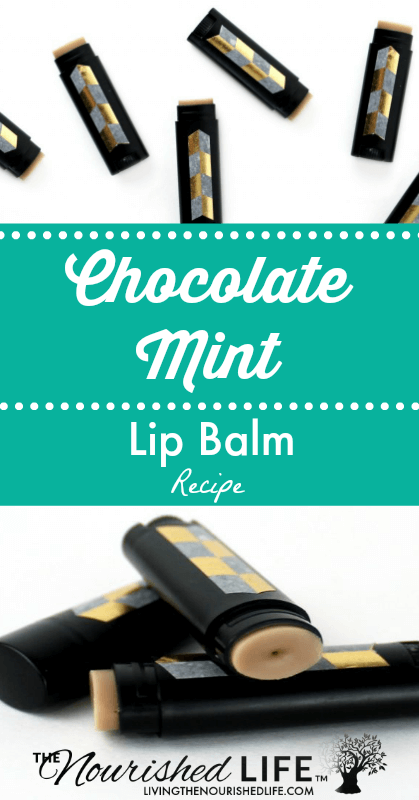 This chocolate mint lip balm recipe is surprisingly quick and easy to make. The following recipe will yield approximately seven lip balm tubes that are complete and ready to go in an under an hour! As such, these lip balms are great for party favors and holiday gifts in addition to your own personal use. Using a digital scale, weigh out the cocoa butter, shea butter and beeswax into a small glass Pyrex measuring cup or a small scientific glass beaker. Heat these ingredients together either in a double boiler or in the microwave at 40% power until melted. Once you’ve melted the butters and wax, weigh out the sweet almond oil and stir until thoroughly combined. If the mixture starts to resolidify, apply gently heat as needed. Using a measuring spoon, measure out the unsweetened cocoa powder and stir into the lip balm mixture until evenly incorporated throughout. Then, using a graduated plastic transfer pipette, measure out the peppermint essential oil and cocoa absolute and stir into the melted lip balm. Carefully pour the lip balm into seven .15 oz. round lip balm tubes or oval lip balm tubes and allow to cool. I recommend stirring your lip balm mixture after each pour to keep the cocoa powder better incorporated. Once your chocolate mint lip balm has fully solidified, clean up the lip balm tubes if needed, then cap and label as desired for personal use or gifting! I recommend using dark cocoa butter in place of the unrefined cocoa butter if you are able to find it. (I’ve been able to find it from a supplier on Etsy in the past and it’s possible some online soapmaking suppliers may carry it.) Dark cocoa butter is unsweetened and the color of dark chocolate with a stronger chocolate fragrance. If you decide to use dark cocoa butter you may omit the unsweetened cocoa powder entirely as well as the cocoa absolute if desired. If you are unable to source dark cocoa butter, I recommend using a quality unrefined cocoa butter with a nice chocolate fragrance. The fragrance of unrefined cocoa butter is simply not as strong as dark cocoa butter which is why I recommend the addition of unsweetened cocoa powder and/or cocoa absolute in my recipe. And finally, the cocoa absolute is completely optional. Your chocolate mint lip balm will still smell like chocolate mint without it. However, if you’d like a stronger chocolate scent then I recommend including it in your recipe if it’s cost effective for your purpose.